The discipline of training Self-Defense and Personal Protection skills will develop these into instinctive habits and regular practices, and give you a level of self-confidence with immeasurable positive effects everyday. Punching with the fist is not the best method for self-defense. You can sustain serious injuries to your hands by punching. A Slap to the ear can easily knock a person down or completely out with simple training. True Self-Defense is effective by gaining an ADVANTAGE and using an EQUALIZER, achieved by using a weapon or tool to overcome the strength and size advantage of an attacker. Once you are confident that you can effectively protect yourself with the proper knowledge, tools, and training, you will instinctively make the proper decisions that keep you safe, and will much less likely ever become a victim. 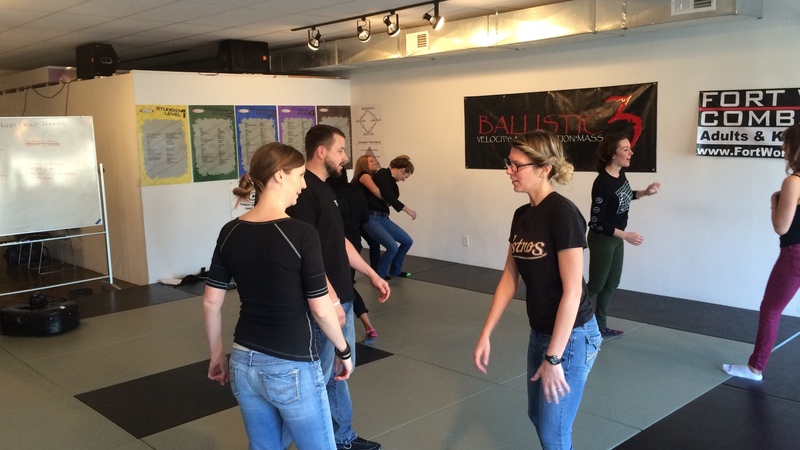 A course is designed for those are looking for short-term self-defense training. Here the participants will learn how to be effective on the street, how to be aware of their surroundings and not live in constant fear of what might happen. The participant will gain confidence, strength, and the ability to move out of harm’s way immediately. Learn to be SAFE and CONFIDENT in any situation! Know how to fight back! Let’s face it, most people are not equipped to deal with a real-world situation. In the worst case scenario (ambushed attacks) it is best to counter-attack and re-counter-attack back without hesitation and without thinking. The only time you have is to fight back and get home safe. WHAT TO EXPECT FROM TRAINING? 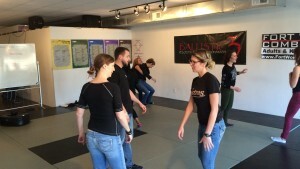 Dawn Dusk – My teenage daughter and I recently completed 6 self-defense lessons with Edwin. We both feel more empowered, aware, and ready. Edwin creates a safe, comfortable environment, and is patient, even with those who have no experience. I obtained specific skills, some of them very simple but effective. He focused his instruction on real-life situations that women might encounter. Most importantly, he inspired a new perspective in me. He is encouraging and also attuned to a person’s individual strengths, which makes him an excellent teacher! 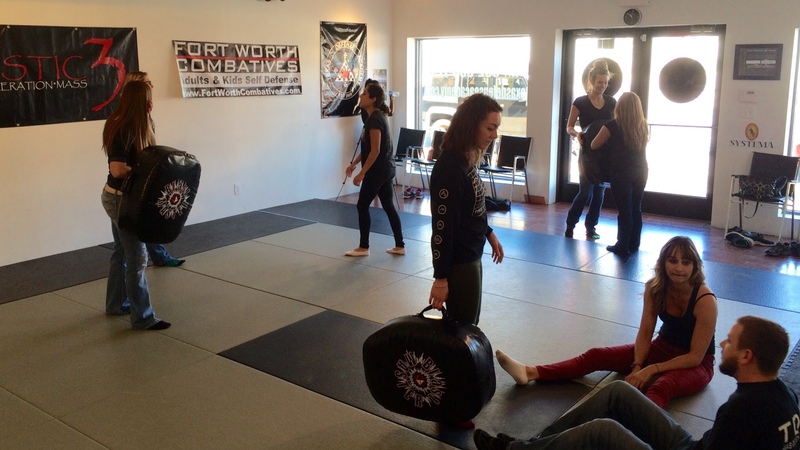 Adair Taulbee – My daughter has been taking weekly self-defense classes with Edwin for almost a year. In addition to learning the basics of self-defense, her self-confidence, especially her confidence in her ability to defend herself, has increased significantly. It has been a wonderful experience for her and given her important tools heading into her teen years! Sherry Benkowski – I signed up a group of high school seniors going off to college next year for a group lesson. My main goal was for them to learn some self-defense. I stayed to watch the entire session and I was extremely impressed. Edwin really engaged the girls and made them think about their safety. He taught situational awareness and had them do several hours of hand to hand self-defense moves. Most of these girls have never hit anything, so for them, fight to protect themselves was very empowering. I learned many moves that my own self-defense class didn’t teach me. I would recommend this class to anyone wanting a refresher and all parents wanting to give their kids some knowledge on what to do if they are attacked. Edwin and Terry were great instructors and the girls were so pumped up leaving the studio. Money and time well spent! For a direct contact to our lead female instructor Anna, please enter your information below. Schedule a private Keysi workshop or private lesson. Trained with our certified instructor Edwin Rodriguez that has study this powerful system of Keysi Fighting Method (KFM) under Justo Diéguez.